In most Western organizations today, we love specialization and compartmentali­zation. Consequently, as we have already mentioned, it is common for us to entirely delegate the task of leadership development to some “specialist” person or group – whether inside or outside the organization itself. We identify the emerging leader who needs to be developed and then send him to the “experts” to “do it” for us. However, if it is to be done right, the existing leaders themselves must participate in the teaching and developing of emerging leaders. They should not merely delegate this role to others. Leaders must personally act as coaches, role models, teachers and mentors. They must share their lives with those around them – their mistakes as well as their victories. True leaders are builders of leaders. Of course, as part of their general strategy of development, they may send the emerging leaders to a profitable training seminar or give them a good book to read, or receive advice or help from a consultant, etc., but they will not pass off the overall responsibility to anyone else. Leaders are best built by leaders in the context of normal life and ministry. The ministry of an in-house “leadership development department” can be powerful, but it must be coupled with a broad responsibility across the church family to raise leaders. The entire church community must take responsibility for leadership development. Communities build leaders. It is not only the individual teaching or mentoring leader who is responsible for building the emerging leader. The entire church contributes to the growth of every new leader. 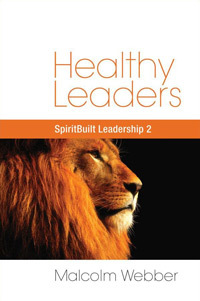 In a variety of ways, a healthy church community works together (albeit not always consciously nor necessarily well) to give the emerging leader the experiences, challenges, learning opportunities, exposure to multiple leaders, role models, relationships, accountability, feedback, support, encouragement, prayer support, exchange of life, etc. that he or she needs. The builder must take steps to establish and maintain the appropriate overall environment for optimal development. Developing leaders means working with the entire community, not just with the new leaders themselves – during the formal building process and also after the formal process. The process of building leaders is never finished. The learning community should not attempt to replace the spiritual community in the building process, but the two must work integrally. During any formal process, the community must take responsibility for and must participate in the process. After any formal process, the community must take responsibility for the ongoing (and never-ending) development of the emerging leader. Our leadership development efforts must not be conducted apart from a living community of people in which the emerging leaders function and participate. In our next Letter, we will look further at how to accomplish this.